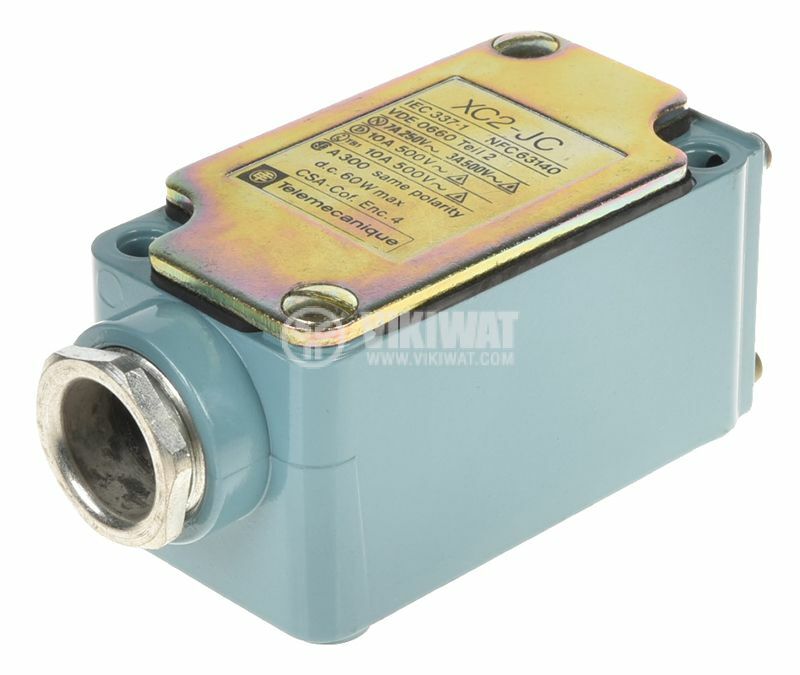 Limit switch, XC2-JC ZC2 JC1, NO + NC, 500 VAC, 10 A, pusher. List Price: 44.90лв. VAT Incl. Terminal switches are used in all types of automation systems as well as in various applications due to the advantages of their construction, characterized by a lever system mechanically connected to one or more electrical contacts. 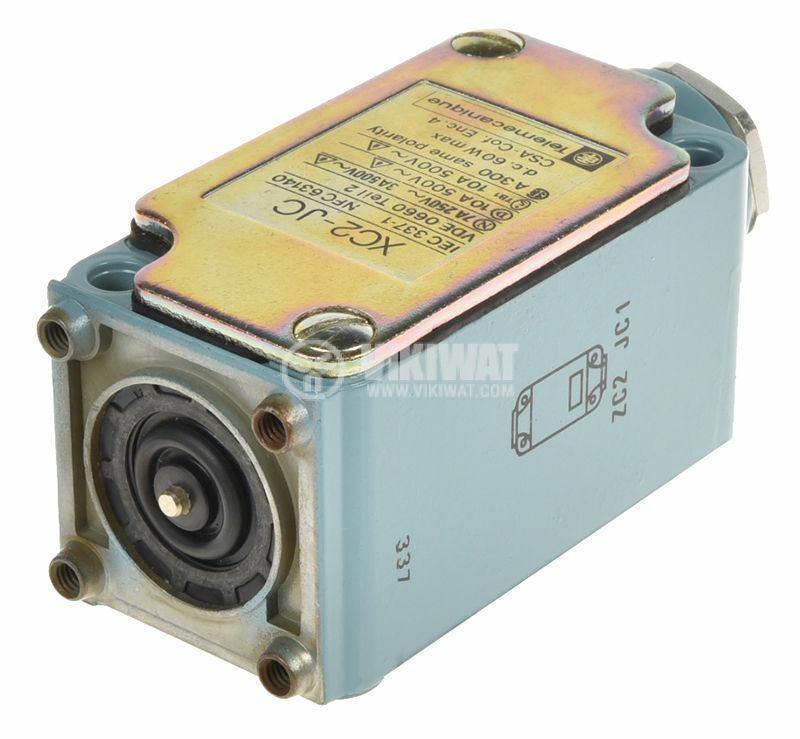 Terminal switches you can find in our store are a few varieties - a metal cylinder, a metal cylinder and roller, a spring rod, an adjustable roller lever and a roller lever. mounting of the switch - 2 "ears" with 1 hole ф 5 mm.